Shakely, Jack – The Confederate War Bonnet – Strider Nolan Media, Inc. 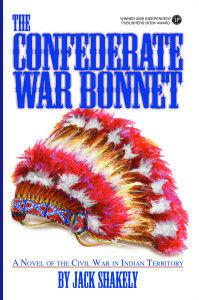 The Confederate War Bonnet won the gold medal as best historical/military fiction and best mid-western fiction in the 2009 Independent Publishers Awards. It was also a finalist in the ForeWord Review Magazine award for fiction in 2008. It is 1863, and the United States is in the midst of the Civil War when mixed-blood Jack Gaston is called back from Harvard University to his beloved Creek Nation. He is surprised to find that not only has he been elected to be a chief in the House of Warriors, he has also been conscripted as an officer in the Confederate Army. Gaston soon learns that the Civil War in Indian Territory is more than Confederate against Federal – it is tribe against tribe and family against family. Gaston takes part in most of the major battles of the brutal and bloody conflict, fighting alongside such great Indian army leaders as Stand Watie, Chilly McIntosh, and George Grayson. In trying to reunite his strife-torn people, Gaston discovers an Indian inside himself he didn’t know existed. And among the burnt-out stubble of war, he finds love with Mexican-Apache nurse Bonita Ochoa. This little-known corner of the Civil War was played out in the fields of the Creek Nation in what is now eastern Oklahoma. 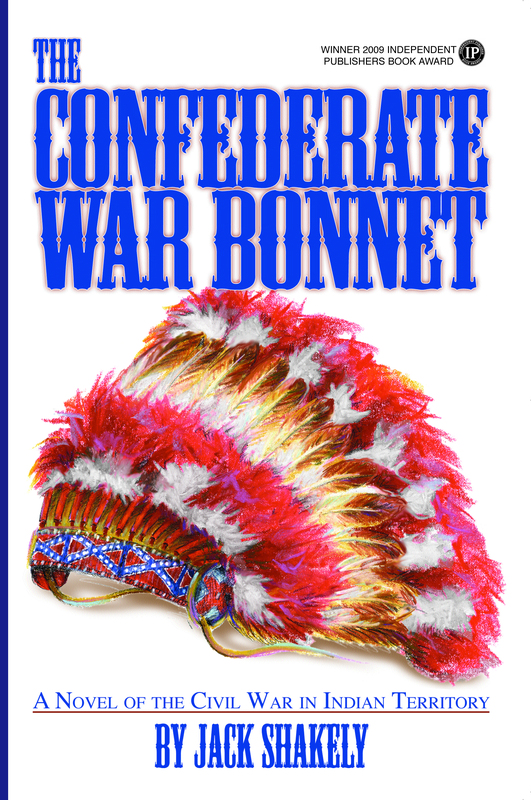 In a rich portrayal of period and place, The Confederate War Bonnet is an evocative historical novel that helps to answer how Indians became involved in the Civil War, why they joined Confederate forces, and how the experience shaped their future in America. Jack Shakely is of Muscogee/Creek descent and was chair of the Los Angeles Native American Indian Commission from 1992 to 1996.